We are here to help you recover and get back to work, period. We focus on your specific job requirements to ensure success. We get you back to work fast and reduce your risk of reinjury. Accidents happen and people need a dedicated team to help them recover. 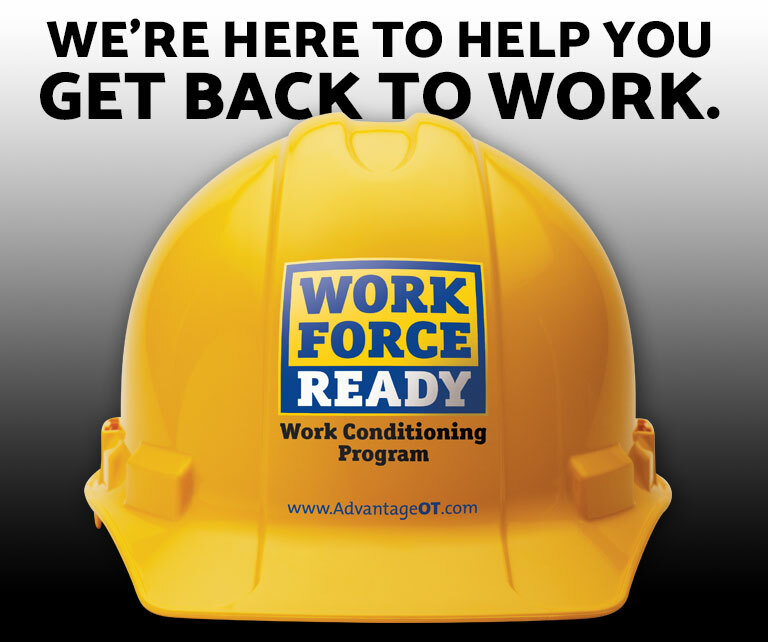 We are your therapy partner, and our sole focus is your successful return-to-work and to insure you are WorkForce Ready! Your success depends on a fast recovery. We provide a one-on-one approach and encourage you to work at a pace to reach success. It’s a workout, so we provide some items to help in the process.